Its been a year since Life OK’s fantasy show of Nikhil Sinha’s Triangle Film Company came to an end on 27th August 2017. It was an adaption on the classic novel Chandrakanta written by the author Devkinandan Khatri. 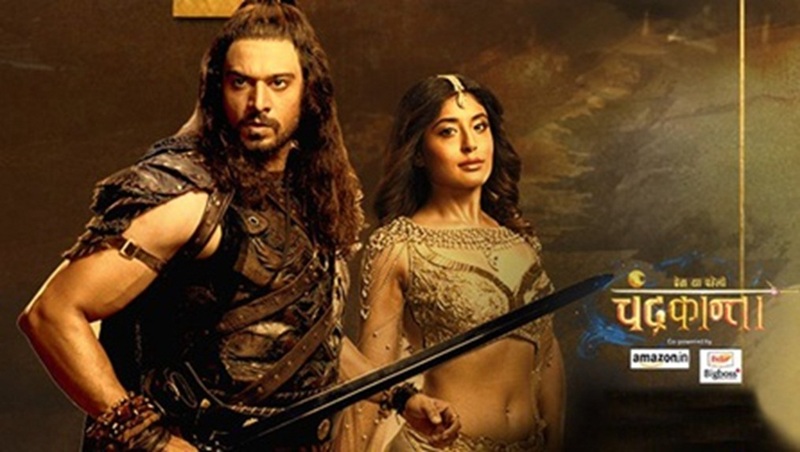 The show starring Gaurav Khanna as Virendra Singh and Kritika Kamra as Chandrakanta was one of the best shows on Indian TV. Kritika and Gaurav are known as KriRav by the fans while Chandrakanta and Virendra as known as ChaVi by the fans. There are several reasons or assumptions of the show getting end. Many think it’s due to the revamping of channel Life Ok to Star Bharat. But some articles say that the show was always supposed to be a finite series of 6 months. The incomplete and cliffhanger makes the viewers doubt that it ended due revamping of Life Ok. The abrupt and incomplete ending of the show shocked many viewers and also broke their heart. Even though the show had low TRPs it was was immensely famous among the people. During the show run, the IMDb of the show ranged between 8.7 and 9.1 out of 10 which very less Indian shows reached. Prem Ya Paheli Chandrakanta which ran from 4th March 2017 to 27th August 2017 deserves to return back with Season 2 to complete the story properly. Following are the 6 reasons why Prem Ya Paheli Chandrakanta needs Season 2. 1. Virendra and Chandrakanta were ideal lead pair where the make lead was a decent gentleman not a jerk and abusive like most make leads and the female lead was not always selfless and righteous but sometimes was even self-centered though in not a wrong way. This version of Chandrakanta had the best story of all other Chandrakanta versions. The show which was set in 11th century was way ahead of the time and was modern in many ways. Virendra was a feminist man who loved Chandrakanta’s courage and bravery. They were also the reasons he fell in love with her instead of just falling in love with her beauty like many men including her enemy Shiv Dutt (Ankit Arora). Chandrakanta though made a couple of stupid mistakes was a woman with self-respect and no-nonsense attitude. 2. The show had a cliffhanger ending with Marich(Sudesh Berry) putting Chandrakanta into tilism and telling Virendra to either rescue Chandrakanta from tilism saving his love or stop him from destroying the world by not going into tilism with the show ending with Virendra who was in dilemma shouting Chandrakanta’s name. The show ended at the point when the main tilism story has only started. The several promos about tilism were shown before the start of the show but when that track actually started the showed ended with cliffhanger. 3. Loopholes of many incidents like Chandrakaanta’s father Jai Singh(Harsh Vashisht), Virendra’s mother Padvika(Jaswinder Gardner) and Tej Singh(Ankur Nayyar) not yet rescued from Shiv Dutt and Kroor Singh’s(Chandan Anand) captivity were shown. Chapla(Bibriti Chatterjee) is still finding ways to free Tej Singh while searching for Sonpuri place to look for Virendra and Chandrakanta unaware that the duo has already left that place and are in another trouble. Real Yakshraj Param(Abhilash Chaudhary) still not rescued from Yaksh Mahal. No sign of Kali Pahadi track which Yakshraj’s wife Siyali(Michelle Shah) once mentioned about Chandrakanta having to come there. Chandrakanta’s step-mother Kamini(Manasvi Vyas) is yet to be exposed of her evil intentions of removing Chandrakanta from the palace at any cost for which she even tried to emotionally blackmail her into becoming Shiv Dutt’s daasi(maid-servant/slave) and did many things to make sure she gets married to Shiv Dutt. And also her attempting to murder Chandrakanta’s real mother Ratnagarbha(Gungun Uprari) twice. Chandrakanta was supposed to be a warrior fight for the throne as written in articles as well as hinted in the show several times by her step-mother Kamini but it was not shown. They only showed 1 episode of Chandrakanta as an amateur warrior fighting against her enemy Shiv Dutt’s senapati for her dignity but not shown any track of Chandrakanta fighting for Vijaygarh throne against her step-brother Mayuk. In fact, Mayuk was not even shown in the show but only talked about. They also did not shown why Giddha Singh threw away Kroor Singh’s brother Jwala Singh’s (Chandan Anand) shoes hiding evidence of him being the culprit of Virendra’s father Surendra Singh’s(Sandeep Mohan) murder when Giddha Singh was not actually a negative character. 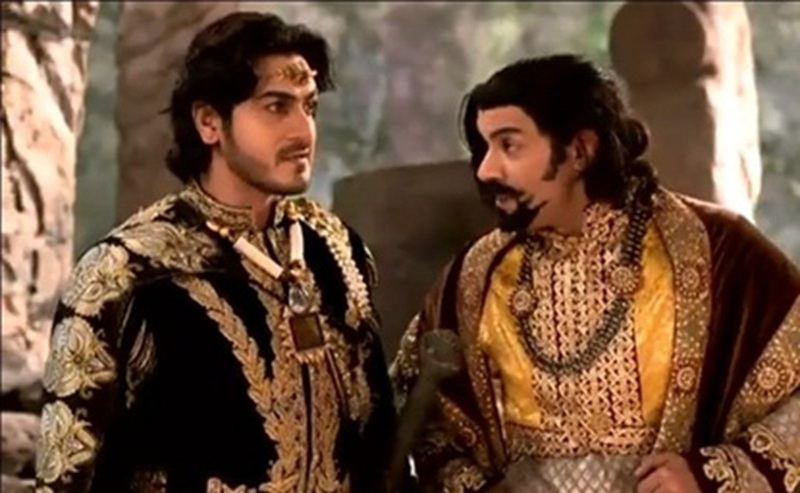 One of the promos that was shown 3 months before the show’s ending had Ratnagarbha feeling Virendra and Chandrakanta that their reunion will help the world in a better way and it hinted the start of tilism but instead the viewers got one of the worst track of the show that is Surendra Singh’s murder for which the female lead Chandrakanta was herself accused of. Initially Virendra was shown immune to any magic or aiyyari but in the last month of the show the creative seemed to forgot about it as they shown Virendra being affected by the magic of 2 female villains Saundarya (Nikunj Malik) and later Parijaat(Patrali Chattopadhyay). 4. Champa’s (Sonal Shrotriya) love interest still not shown. According to the novel, Devi Singh who was supposed to be another Aiyyar of Virendra and Devi Singh’s live interest has not entered the show. Champa mentioned in one episode that she too will marry Tej Singh along with Chapla as a joke which viewers want to remain as a joke only as they are not in favour of love triangle or polygamy but want the entry of Devi Singh. Along with that, Tej Singh and Chapla’s love story did not even got time to be explored. 5. The journey of Shiv Dutt and Kroor Singh to find about Shiv Dutt’s existence needs to be shown. Shiv Dutt in the last episode gets the shock of his life on knowing that some of the people he met were actually the illusion of the real Marich including his father(fake Marich) and his wife Shhyamala(Iris Maity). They left for their journey while leaving their captive enemies and behind lat the hands of their soldiers. Shiv Dutt and Kroor Singh were actually shown defeating Naugarh and in a way also defeating Vijaygarh (as they had captured Vijaygarh’s king Jai Singh too) which was unacceptable for the viewers. The show which hardly disappointed before gave disappointing ending of all the evil people having upper hand over good people due to which a part of the viewers may have either had bad impression of the show or forgotten the show. 6. Unseen flashbacks of Virendra and Chandakanta’s last birth Harshvardhan(Gaurav Khanna) and Chandrika(Kritika Kamra) which were not shown in the first episode (the scenes showing what else may have happened in their life such as how their love story started, how Marich and Harshvardhan were friends, Harshvardhan and March’s tilism journey or how Harshvardhan and Chandrika became enemies with Marich). Virendra and Chandrakanta were shown to have talk about their last birth or have memories about their last birth. Divyanka Tripathi Is Going To Play A MasterChef In ALTBalaji's Next Web Series! Yeh Un Dinon Ki Baat Hai : 6 Reasons Sameer Maheshwari In Today's Era Also Qualifies As Your Dream Boyfriend! Kritika Kamra Awarded For Excellence In TV And Films At Women’s Achievers Awards! Truly Prem Ya Paheli – Chandrakanta needs to come back!!!! It was one of the best shows of Life OK!!!!! The other being Ek Boond Ishq!!! !